How do we design our cities differently than before? Marloes Reinink, director of Solid Green Consulting, kicked off the latest DAS Conference explaining how urban designers of today should think differently about future cities and how this thinking is applied in the development of the Sandton Gate precinct. 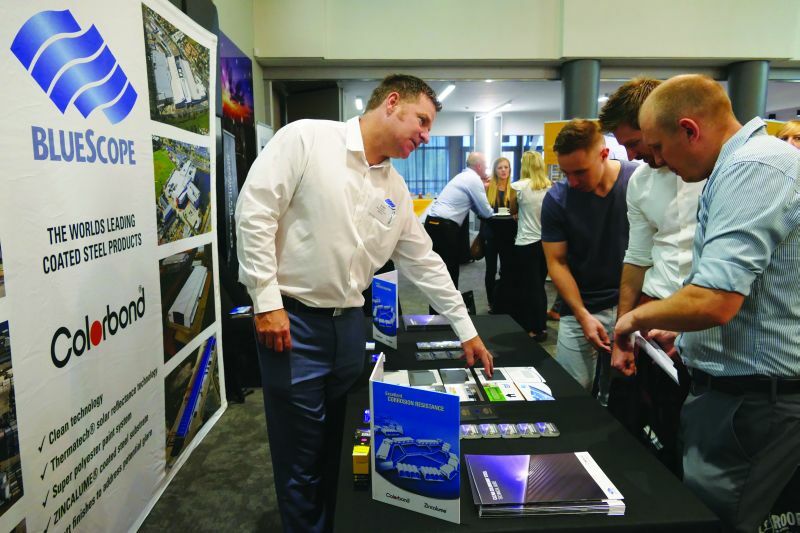 The DAS Conference was held at the newly revamped Bytes Conference in Midrand on 15 March, hosted by WALLS & ROOFS and FLOORS magazines. With the topic “Design with a purpose”, the line-up of speakers had the audience captivated with interesting viewpoints and ideas. Warning that organic waste might be banned from landfill soon, Gavin Heron, director and cofounder of Life Green Group, gave a practical view of the environmental risks that we face in South Africa. 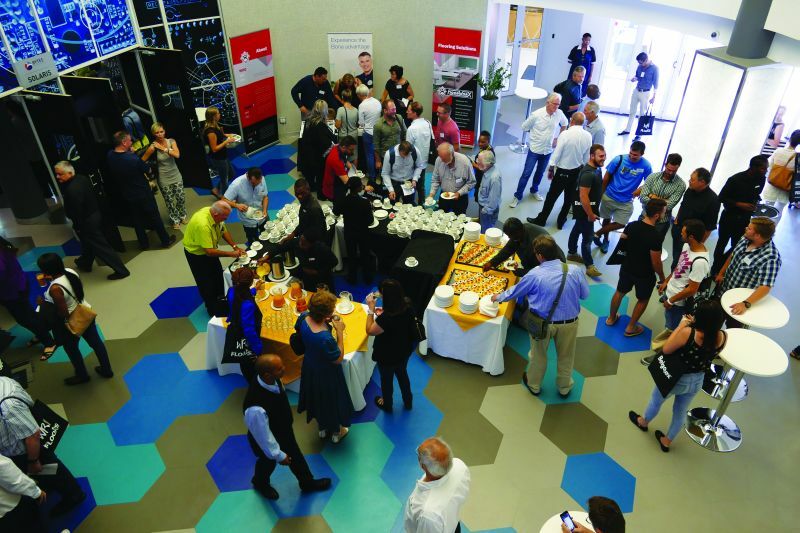 The breaks provided ample time for networking. Talking about “Buildings for the new cityscape”, Adrian Maserow from AMA Architects highlighted the opportunities created by streetscapes for gathering places and pop-up parks. JP de Marigny, candidate architect at SAOTA, was the winner of the 30th Corobrik architectural student of the year award, and gave an inspiring presentation of his award-winning thesis, motivating both the students and professionals in the audience. WAF award winner and chief executive officer of Ntsika Architects, Nadia Tromp, spoke about her award-winning project, the Westbury Clinic, as well as her architectural philosophy. Tackling the topic of design, Jason Wiggin, head of interior design at the Greenside Design Centre, spoke about designing purposefully for the future, while Gavin Mangeni, head of the SABS Design Institute, urged attendees to stop following others, but to tell their own stories while serving their clients, their communities and doing so sustainably. He was joined by industrial engineer, Sibusiso Mwanasi, who further highlighted the importance of indigenous authenticity. And an engineer talking design? Addressing the topic “Engineering re-imagined”, Wim van Schalkwyk, partner and industrial engineer at Aurecon, surprised the audience with his views when he spoke about how engineers should consider purposeful design. Caron Schnaid from GAPP Architects also gave insight into the design and development of the Nelson Mandela Children’s Hospital, focusing on how the interior design and way-finding have created a welcoming and reassuring space for the little patients and their families. Rigifoam illustrated the application of Lambdaboard® PIR insulation inside a wall. To the sponsors who helped to make this event a huge success, thank you. 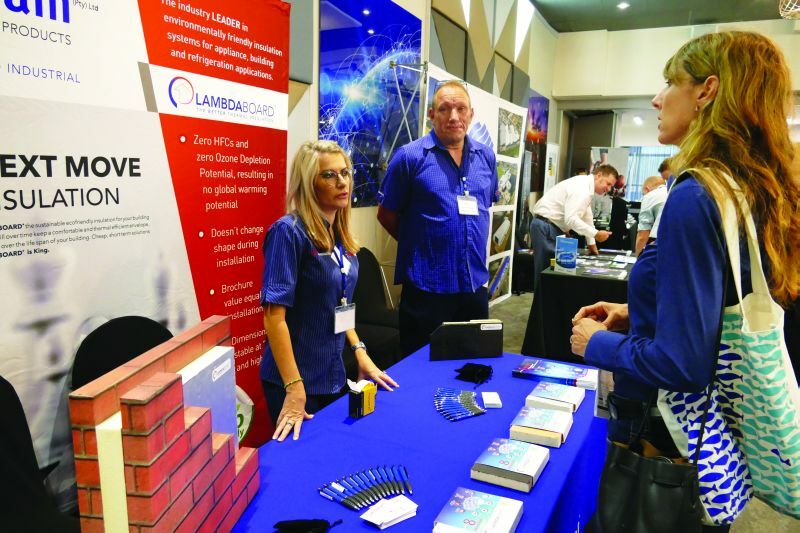 They were Belgotex, FloorworX, Chryso, BlueScope Steel Southern Africa, Ceramic Industries, International Slab Sales, Lambdaboard®, Salvocorp, Sika and Tal. A representative from BlueScope Steel Southern Africa answering questions about the company’s roofing profiles. Two more DAS Conferences will be held this year: On 26 July in Cape Town and on 14 September at the Atterbury Theatre in Pretoria. For more information, visit www.buildingdecor.co.za or phone 012 347 7530.